FOUR PAGE Update!EEP! Quick, head back to page 177 to see the stuff that leads up to the heart-felt finale! Is that the end? Almost! There’s still a final epilog that I was going to save for just the book. But as thanks for all your awesomeness I’m going to post the epilog on a secret page of my website. Check back here tomorrow for the special link! That’s also when I’ll be debuting the official book trailer and a final contest! I’m sad that this is almost goodbye, and want you to know how much I appreciate all of you for reading my book! It’s been one of the coolest things in the world to read all your fantastic comments along the way. It’s been like having new friends sign my high school yearbook! If we ever meet you in person I owe you a hi-five! 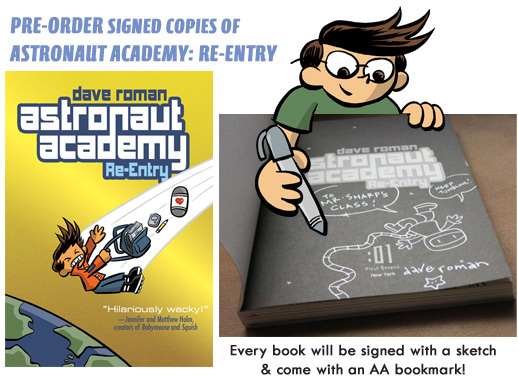 There’s only a few hours left to get a signed copy of Astronaut Academy over the internet! I’ve teamed up with my local bookstore WORD for this limited pre-order special! 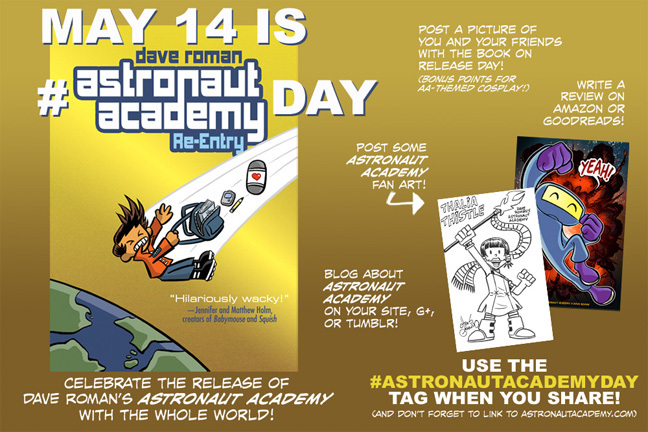 And don’t forget about all the Astronaut Academy Day prizes! 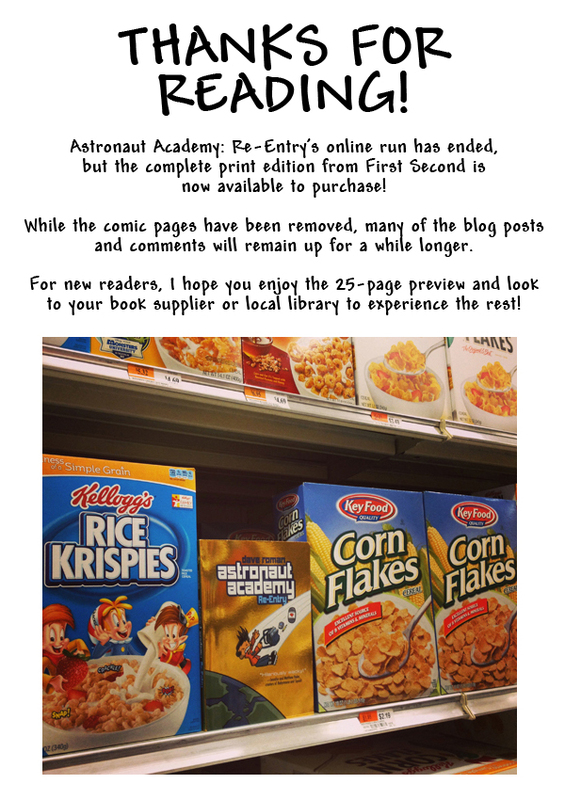 Original art from Kazu Kibuishi, Raina Telgemeier, Chris Giarrusso, Rafael Rosado and more! oh, I think I sounded a little selfish…i am so sorry if I offended anyone! Me? Class doodler? This made my day! Thank you!